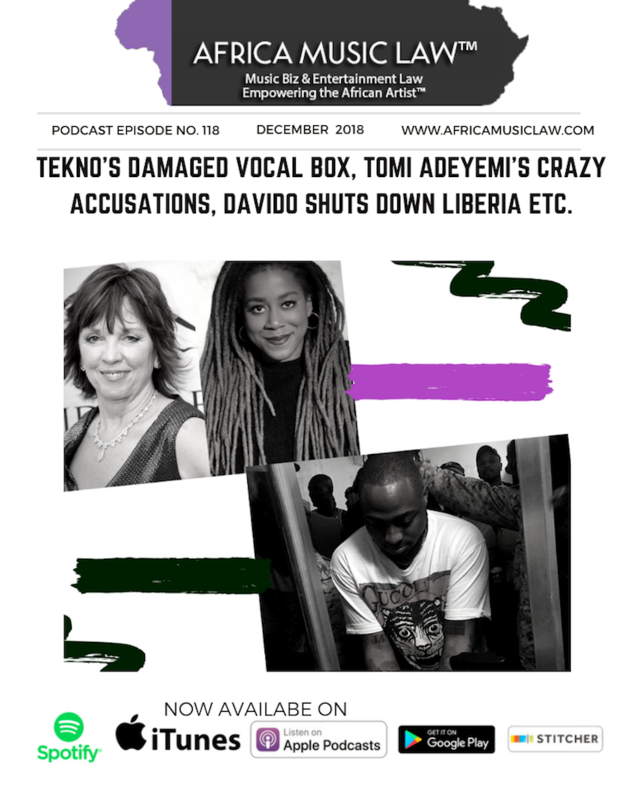 Tekno, a Nigerian singer-songwriter and producer has a damaged vocal box, Nigerian-American author Tomi Adeyemi crazily accuses fellow author Nora Roberts of copyright infringement, despite the rain, Davido shuts down Liberia in an electrifying performance. These and more are the hot topics Ms. Uduak, host and producer, tackles on the 118th episode of The Africa Music Law Show. Listen, enjoy and share. Cassper Nyovest new album going platinum a day after its release.